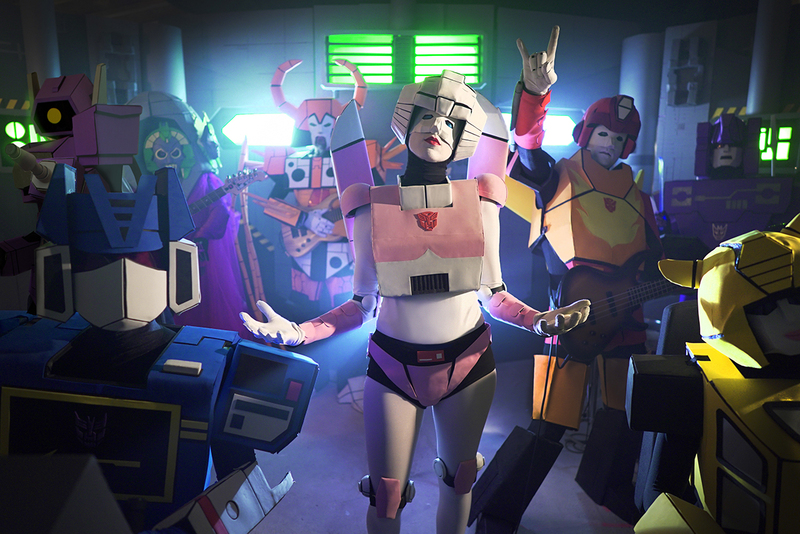 More than meets the eye, The Cybertronic Spree are here on Earth with one critical mission: To party like it’s 1986!This band of Transformers has been brought together by the power of rock ‘n’roll and they can’t be stopped. Join Hotrod, Arcee, Rumble, Unicron, Soundwave,Bumblebee, Shockwave and a Quintesson as they prove they’ve got the power to light your darkest hour. 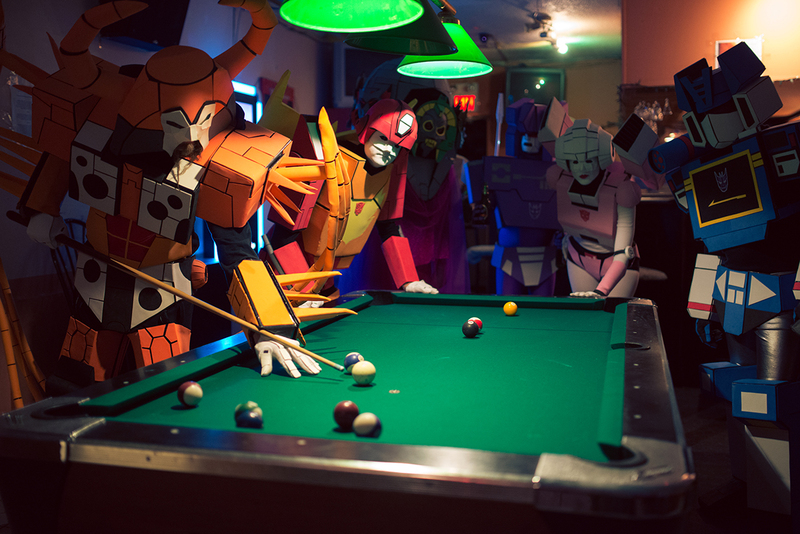 Known across the galaxy for having cast aside their warring factions in the search for the ultimate party, these rockstars in disguise play music from The Transformers: The Movie, hit film andanime songs, and video game covers. 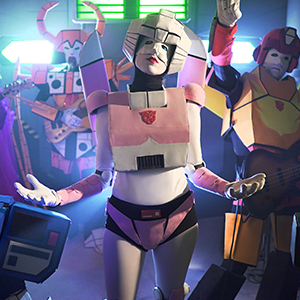 They blend their love for the 80’s and 80’s metal into an energon-fueled, unforgettable live show. 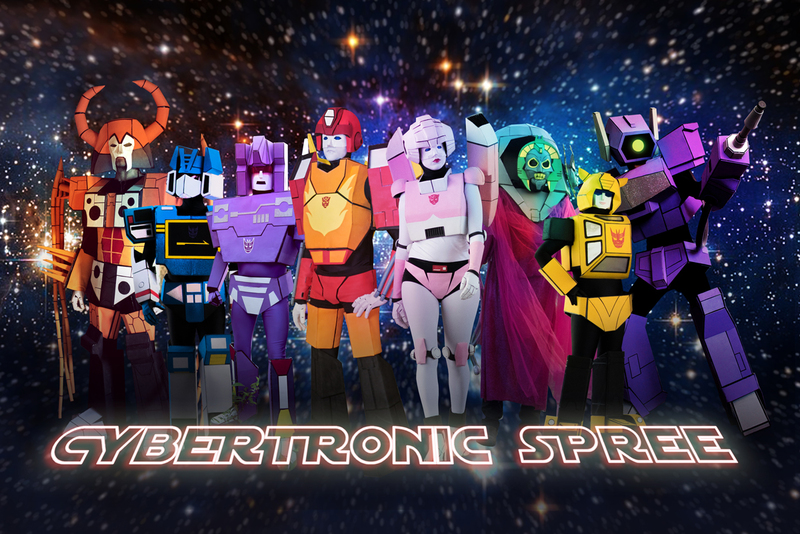 The Cybertronic Spree have been rocking conventions and events since 2013. They’ve captivated audiences across Canada and the US with performances at Dragon Con, Ottawa International Animation Festival, Pensacon, Nerd Noise Night, RetroCon, Brooklyn Academy of Music,Montreal Comic Con and opened for fellow space-rockers, TWRP, Electric 6, andMagic Sword. In 2017, the band released their first original single, “Cybertronic Warrior”, a fist-pumping robot anthem. The video was directed by cult director Steven Kostanski (Manborg, The Void) and released to great acclaim. The band are now battling it out in the studio once more, set to record and release a follow-up of gigantic proportions.